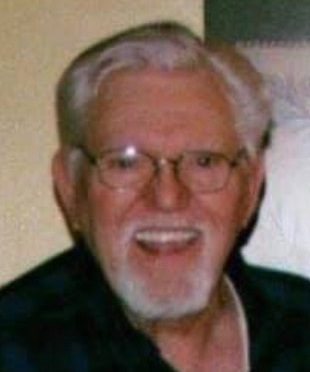 James L. "Bernie" Kifer, 80, of Liberty Twp., passed away on Saturday, March 23, 2019, at Liberty Health Care Center. James was born January 20, 1939, in Petrolia, PA., the son of Melvin L. and Nellie L. (Mahood) Kifer. 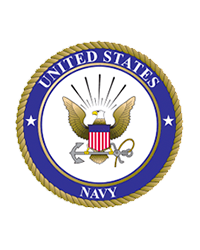 James served his country for the US Navy for 11 years, where he studied as a hydraulics mechanic. After his military enlistment, he then went to work for General Motors, retiring after 30 years. He served for the Church of God of Prophecy and Harvest Ministry Outreach Center, where he had been a hospital chaplain. James loved working on anything that had an engine, and could fix just about anything. He enjoyed playing cards with the family, bingo, reading, and watching nascar. He leaves to cherish his memory, his wife, Dolores L. (Ryan) Kifer, whom he married March 20, 1965, his children; Dealeigh L. (George) Bednar, of Liberty Twp., Scott L. (Heidi) Kifer, of Vandergrift, PA., Melvin L. "Sonny" (Faith) Kifer, of Masury, Ohio and Raymond L. (Lorraine) Kifer, of Wadesboro, NC, a sister, Ruth Flick, of Huey, PA., grandchildren; Tia Mosko, Tyler Mosko, Cameron Bednar, Shoshanna Kifer and Scott Kifer II, Joshua Kifer, Michael Kifer, Ashley Kifer, Alyssa Kifer, Kaleigh Kifer, Raymond Kifer Jr., Renee Kifer and Jordan Hanna. and ten great-grandchildren. Besides his parents, he is preceded in death by his sister, Lois Baker and his grandson. Funeral services will be held on Wednesday, March 27, 2019, 1:00 PM, at Blackstone Funeral Home in Girard. Visitation for relatives and friends will be held on Tuesday from 12:00 - 4:00 PM and 6:00 - 8:00 PM at the funeral home. To view this obituary and to send any expressions of sympathy visit www.blackstonefuneralhome.com.